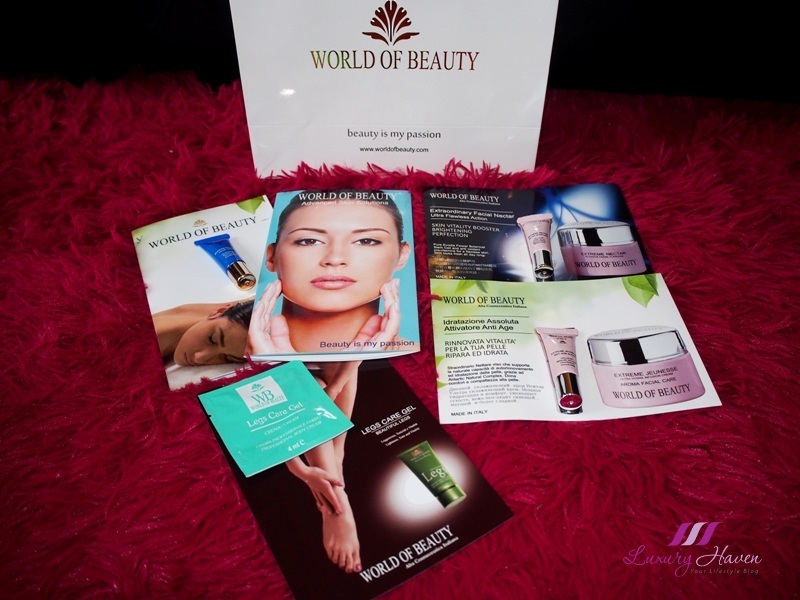 You are here:Home » Product Reviews » BeautyAsia 2016, Asia’s Premier Beauty, Spa And Wellness! 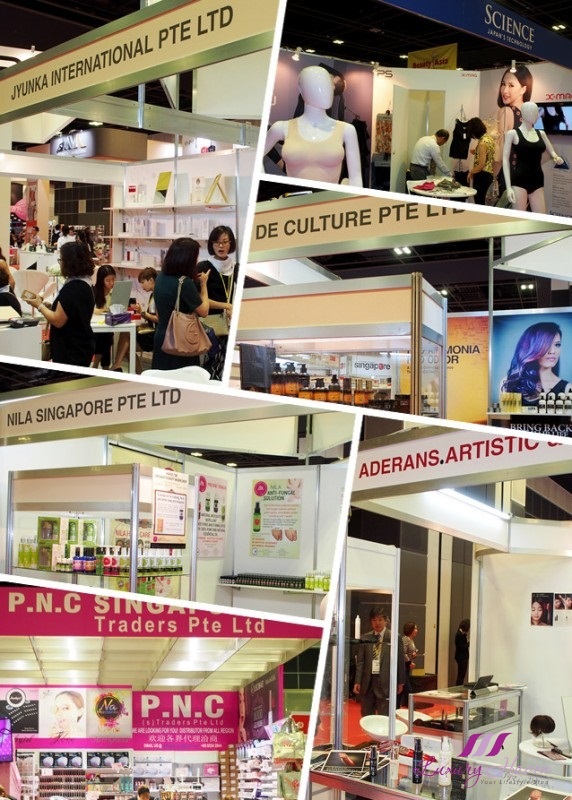 Aderans Singapore - Established in 2002 as a wholly-owned subsidiary company, Aderans Singapore bought the existing Fortune Wigs to run its retail operations. 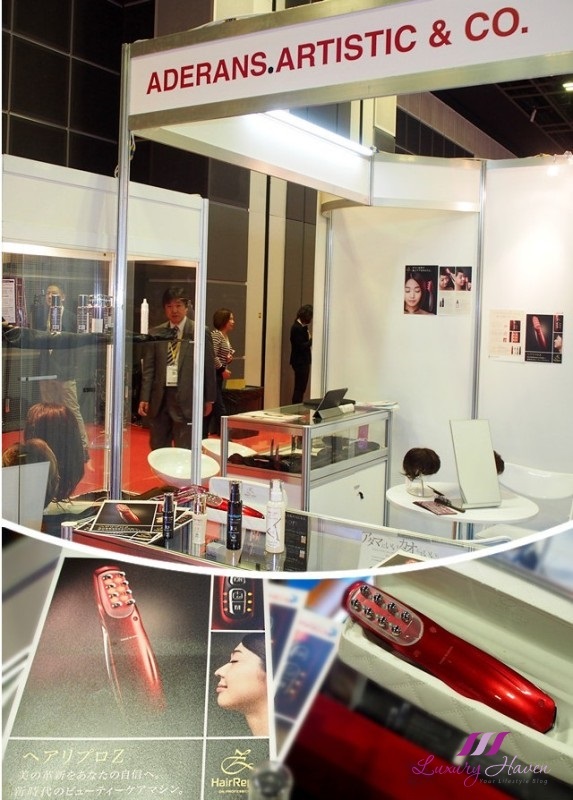 Interesting Hair Repro Z, using Iontophoresis and the latest pulse light, AD-DPE to enhance scalp health. Bath & Bloom - Originated in 2002 with an aim to create a happiness in a bathroom. 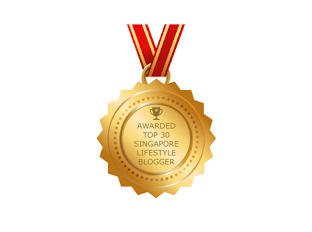 Their product is an easy tool to fulfill your happiness from a refreshing, lively and relaxing your mind from all work job each day. 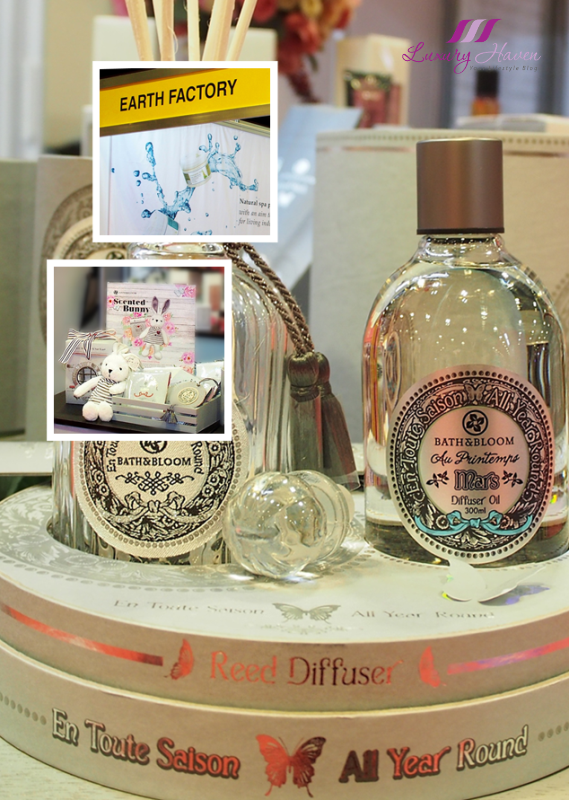 Made from natural ingredients, Bath & Bloom aims to produce good quality products. Let Bath & Bloom create a unique scent for your unique lifestyle. 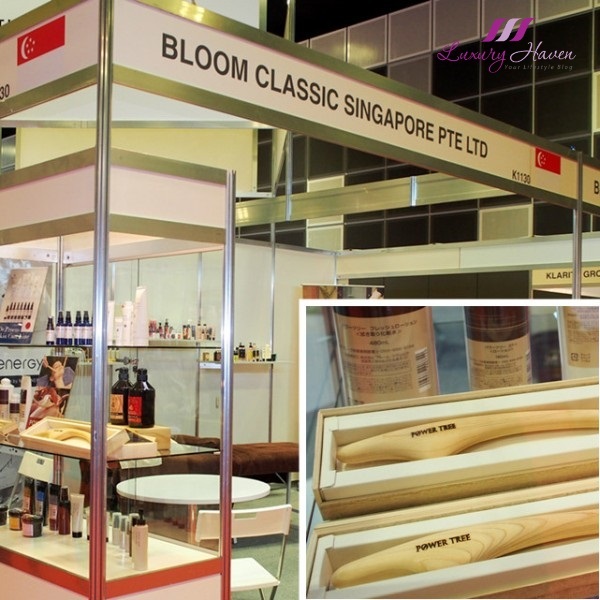 Bloom Classic - A cosmetic manufacturing company in Japan, well established for almost 27 years. It currently has 50 company owned stores, around 100 Franchise stores, and around 590 stores currently providing the aesthetic market with their aesthetic salon products and Power Tree Spa Treatment technology. 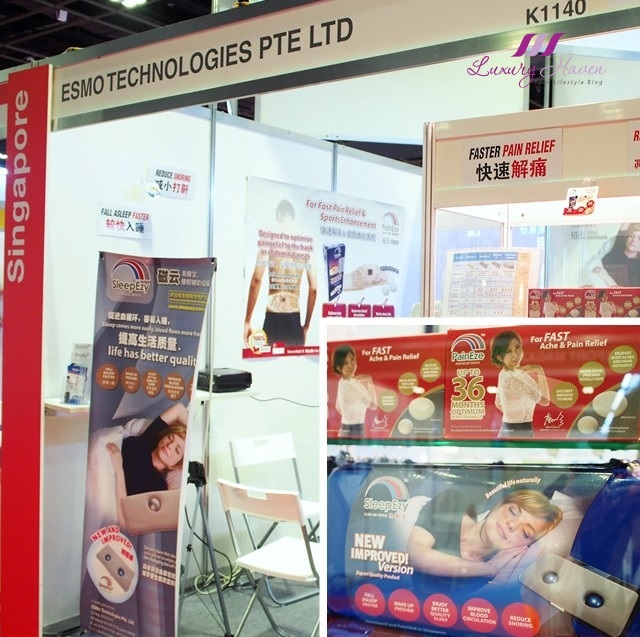 Esmo Technologies - Established in 2005, ESMo Technologies Pte. Ltd. is a Singapore-based green technology company that specializes in research development and application of Magnetic Interference Cloud™ technology for healthcare and reduction of food and energy waste. Health care products available: Sleep-Aid - SleepEzy, Pain relief - PainEze Waist Belt. Esterel By Mario Zunino Labs - European design meets the newest Made in Italy concepts. Since 1961, their celebrated brands offer cosmetic excellence as innovative and high-end immediately effective skincare and haircare lines dedicated to demanding customers and beauty experts ( retail & professional ). 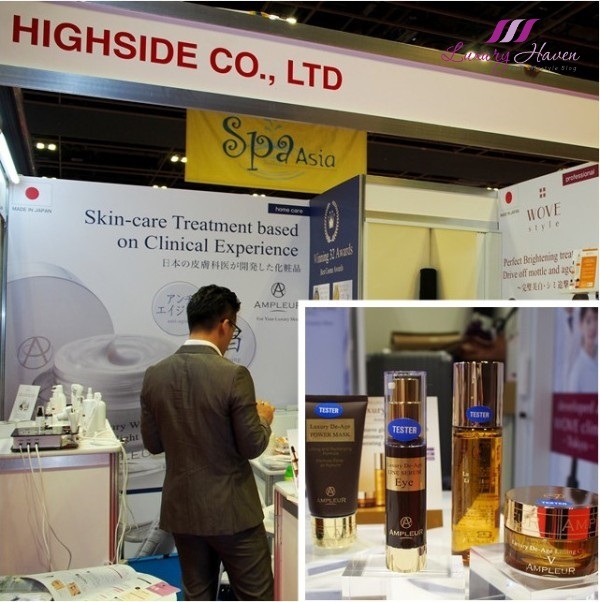 Highside Co Ltd - All their skincare and haircare products are developed by a well-know Japanese dermatologist, Dr Takase, whose technologically advanced on the market, offering Ampleur ( home-care ) and Wove style ( professional-use and home-care products ). 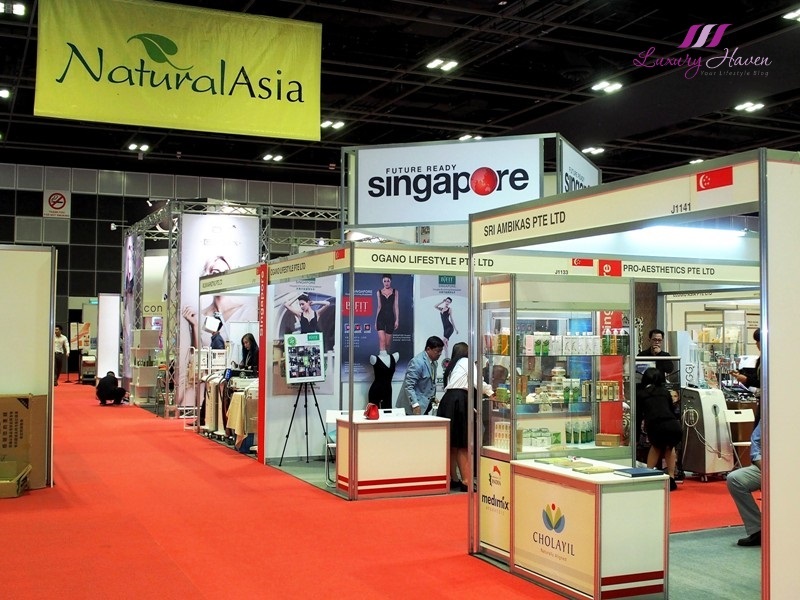 Koz International - Their cosmetics are manufactured in the Singapore and conform to strict ingredient policies. 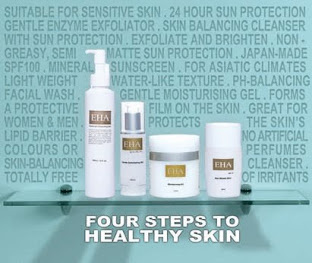 Your own private label natural skin care range of pure cosmetics to meet the needs of you and your customers. Mosbeau Inc - Mosbeau is dedicated in creating premium products that are 100% Made in Japan and are clinically proven safe and effective, through its breakthrough ingredients Horse Placenta and Japan patented Marine Placental Protein. 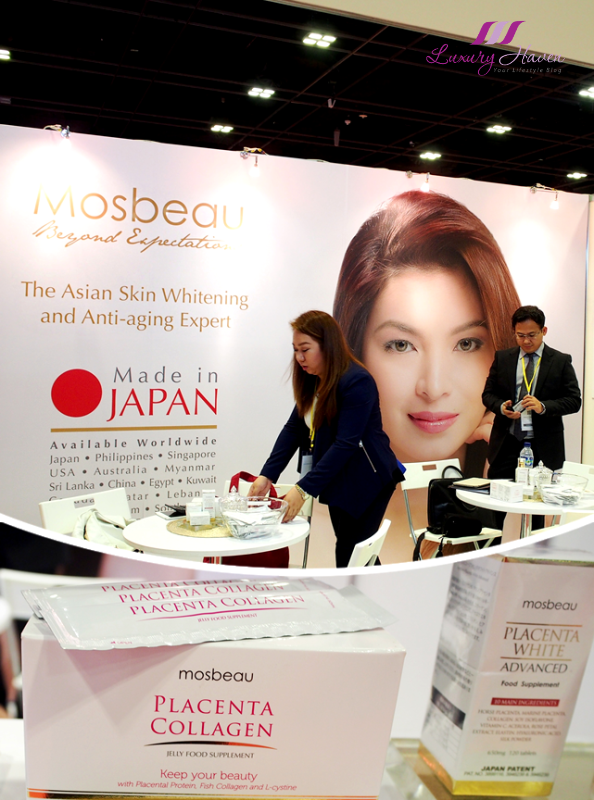 Mosbeau is globally recognized as the Asian Skin Whitening and Anti-aging Expert, through the help of their pillar product, Mosbeau Placenta White Advanced. Naturetech - Started with aloe products since 1976, Naturetech pioneered Korea’s health-functional food and skin care industry. Contributing to healthy and beautiful lives of humankind, Naturetech serves their customers with OEM method to produce Health Supplements and Functional Skin Care based on their customers’ needs. 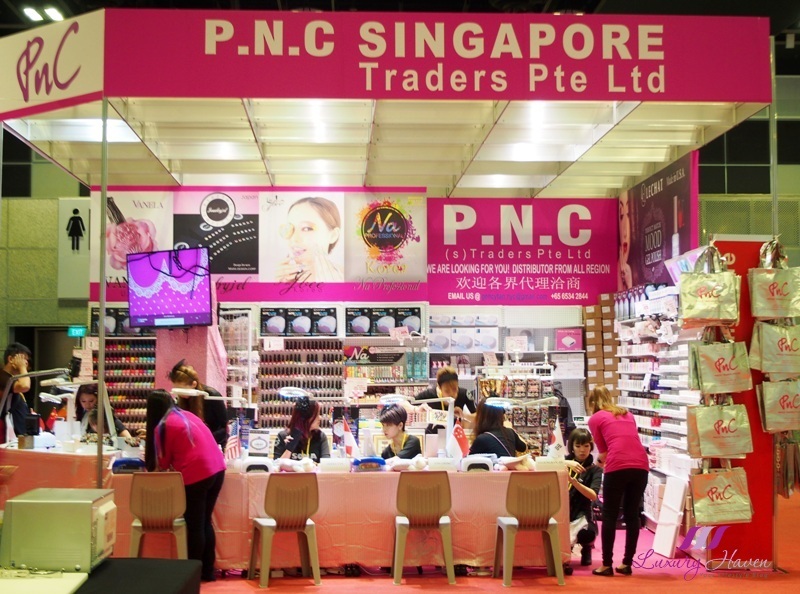 PNC Singapore Trader - A nail Super brand one-stop wholesale centre that has thrived in the industry for almost a decade. PNC’s extensive range of products and services include eye-catching nail col-ours, nail care products and nail equipment and tools. Additionally, PNC also hold frequent workshops organized by SONA ( School of Nail Art ). Science Singapore - ‘ SCIENCE ’ consists of two sub brands. The first one is ‘ X-MAG ’ for underwear whose equipped magnets enhance blood circulation to ease pain and stiffness of your body. The second one is ‘ PUMP SPORT ’, whose original compression systems improve your posture and keep your legs and arms beautiful. 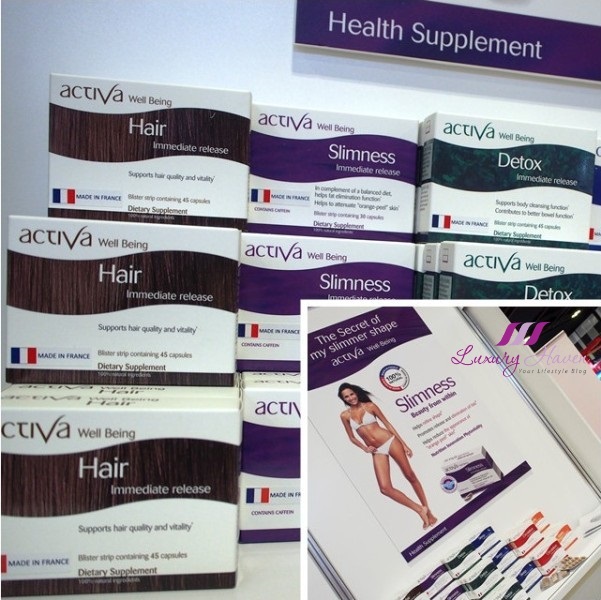 Vitality Store - Launched in 2014, it has rapidly grown to become a reference in alternative medicine in Singapore and South-East Asia carrying health supplements like Activa, Nutripuncture etc. Everything you will order is 100% biocompatible, meaning there will be no addiction or side effects. 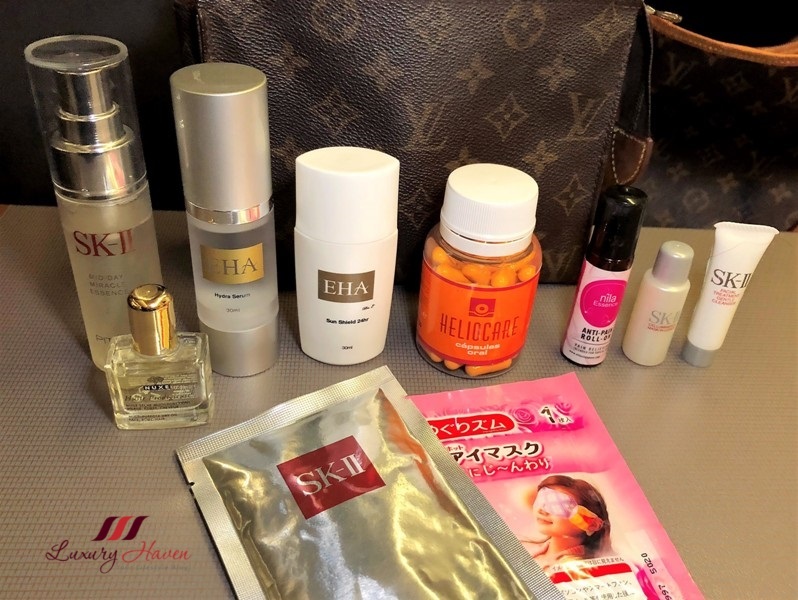 AIC Co Ltd ( Japan ) - Bringing you beauty brands like Intime Organique, a skincare for your intimate area; Ryuspa refining series, taking advantage of the Okinawa natural materials Kume deep ocean water; Dr Innoveil skincare series and more. 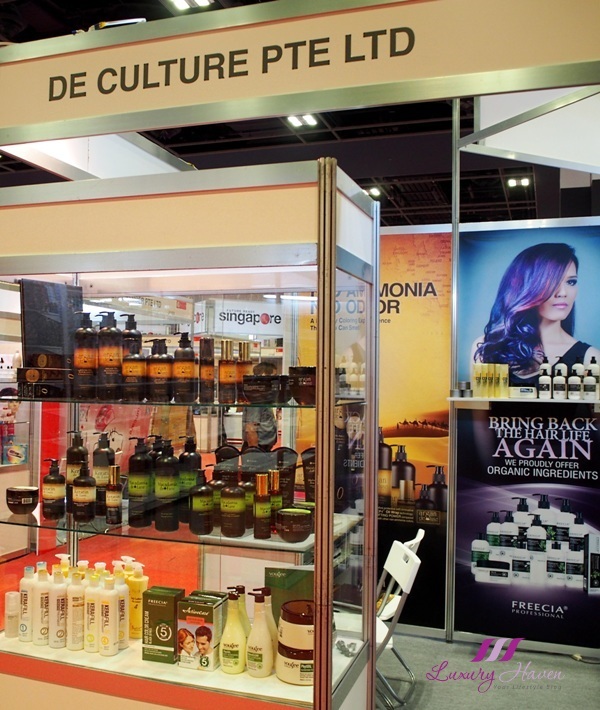 De Culture - A Singapore distribution company for hair salon products such as hair colour dye, hair care and salon equipment to over 1300 hair salons in Singapore since year 2008. 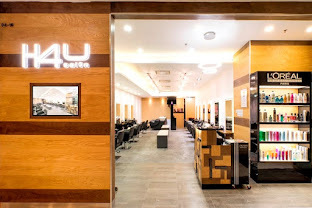 A one-stop solution provider to cater for both salon and consumer needs. 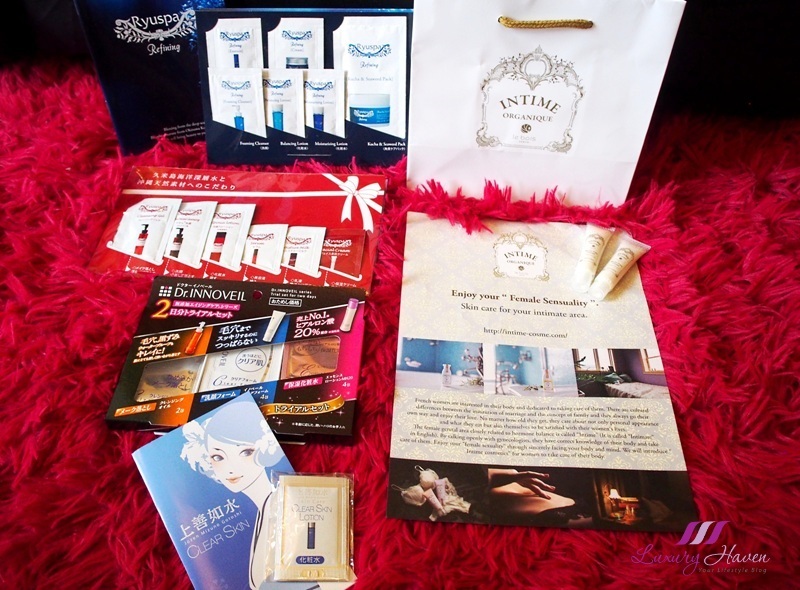 Exclusive brands for salon: MSK, Cynos, Freecia, Rizo, Infinite. 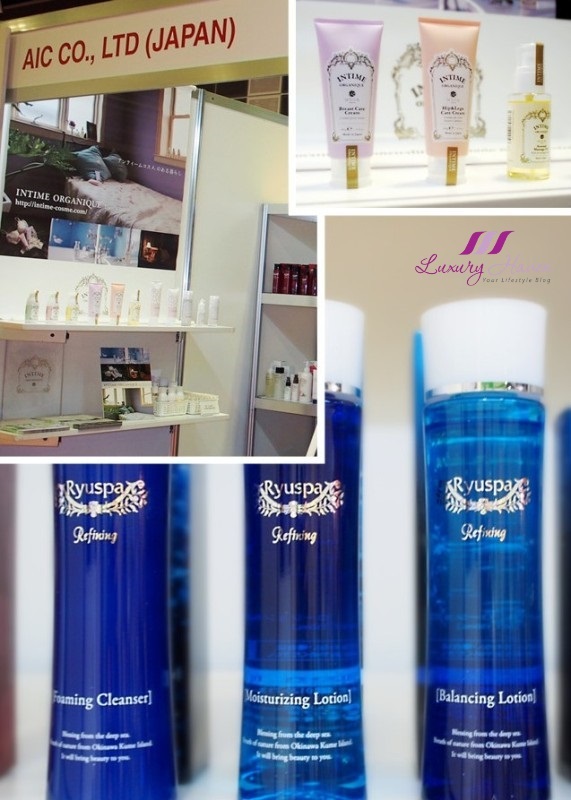 Jyunka International - Established in 1996 to manufacture and trade in one serum initially, the company has now expanded its reach from a local brand to an international one. 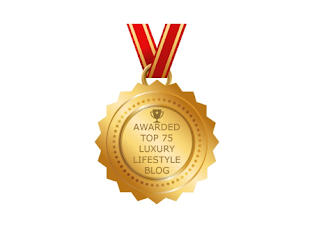 Definitely one of my favourite sponsors over the years, and you can find many of my Jyunka reviews and giveaways here with the latest at Jyunka Launches Ultra Peptide Lifting Series + Cell Essence! 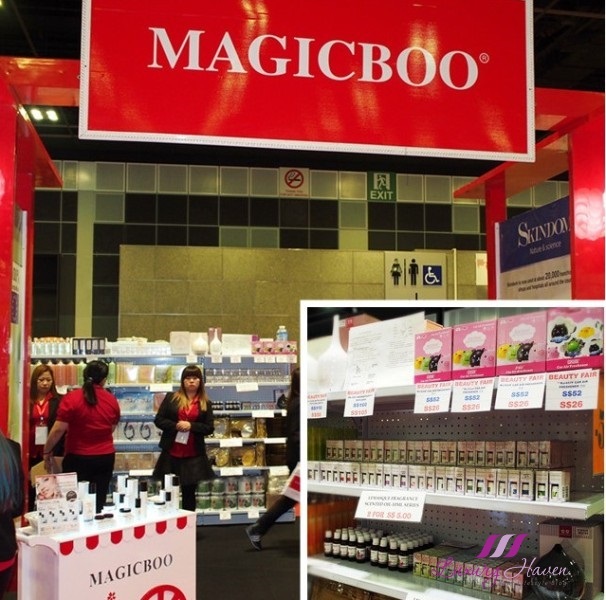 Magicboo Beauty Megamart - One of the largest one-stop retail beauty marts in Singapore and Malaysia. 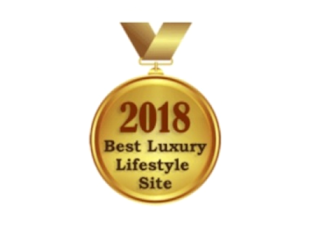 Their vision is to be the leading one- stop retailer of beauty and wellness products such as skincare, hair care, slimming, spa and jacuzzi in the local and international scene. 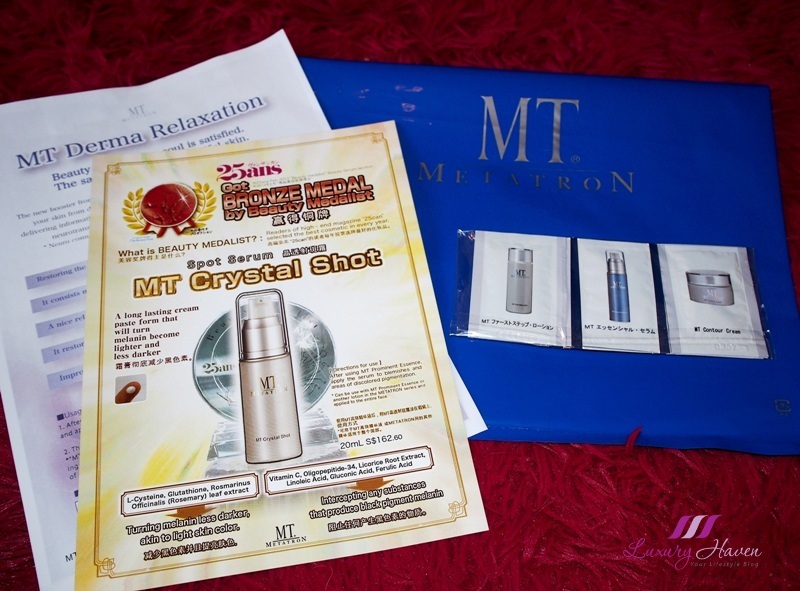 Mt Cosmetics Singapore ( Metatron Cosme ) - A Japanese professional skin care company that produces and sells products exclusively for dermatology clinics and aesthetic salons. 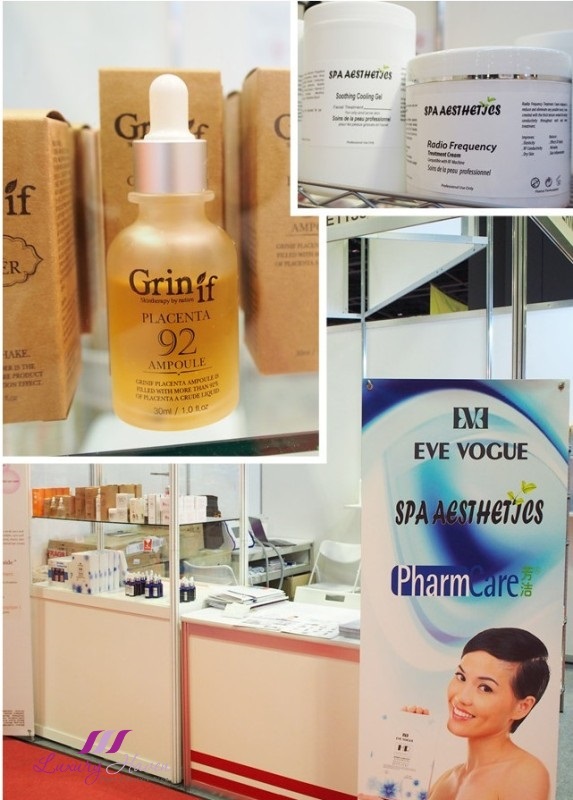 Well known for its “ Muscle Lifting Product ”, MT Essential Serum is an essence that gives you an instant result. 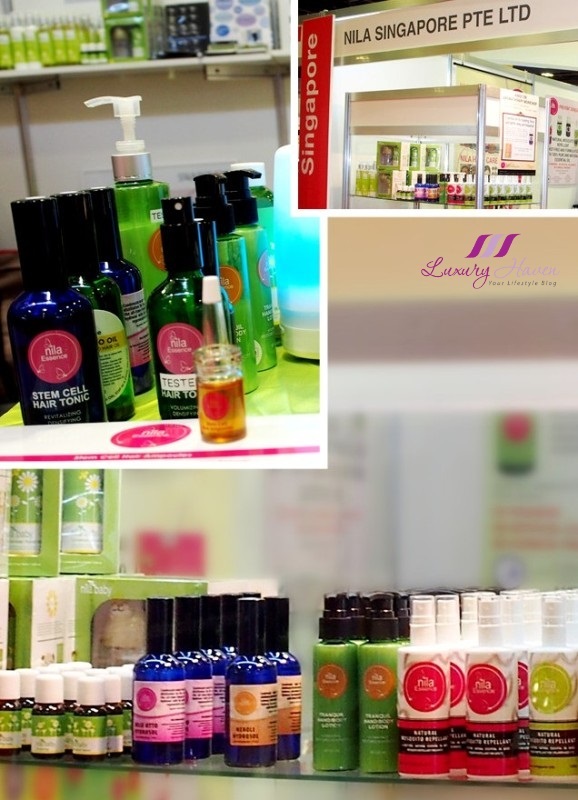 Nila Singapore - Well known for their natural approach to beauty, Nila specialises in aromatherapy and focus on holistic therapy and wellness with 100% pure essential oils, for all ages including babies. Nila Essence products are made in Singapore with natural active ingredients, without parabens, artificial colourings and chemical fragrances. 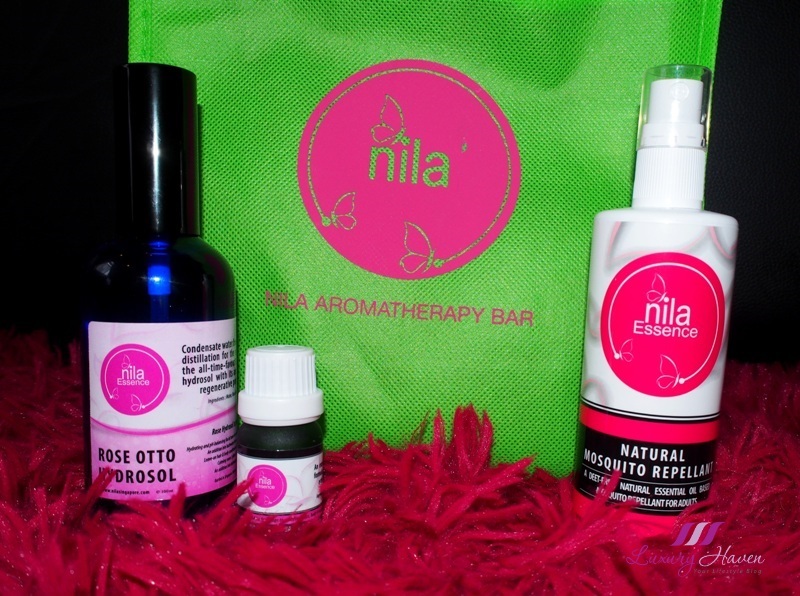 Nila Essence Essential Oils: Insomnia, Anti-Wind, Well-Being, Clarity. Love these roll-on essential oils which come in so handy. 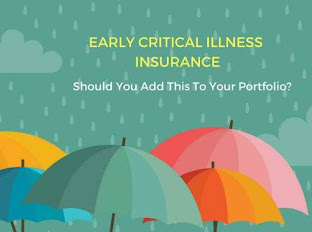 My Insomnia pals are right beside my bed now, with the Well-Being sitting on my desktop, Clarity inside my handbag, and Anti-Wind with my mom! 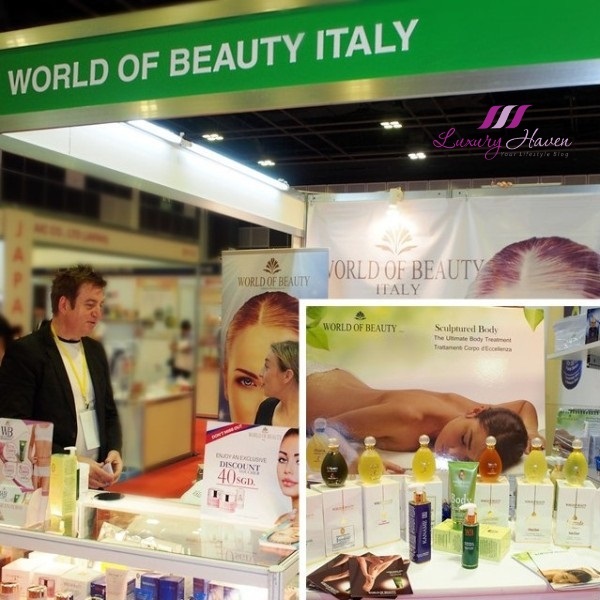 World Of Beauty - Top Italian Cosmeceutical brand, leading in over 53 countries is internationally recognized as the most effective and professional Phytoaroma Cosmeceuticals. Their latest: Jeunesse Recovery Skin Clearing Memory Formulas, exhilarant products with a powerful wrinkles and dark spots erasing botanical complex. So what's your pick? 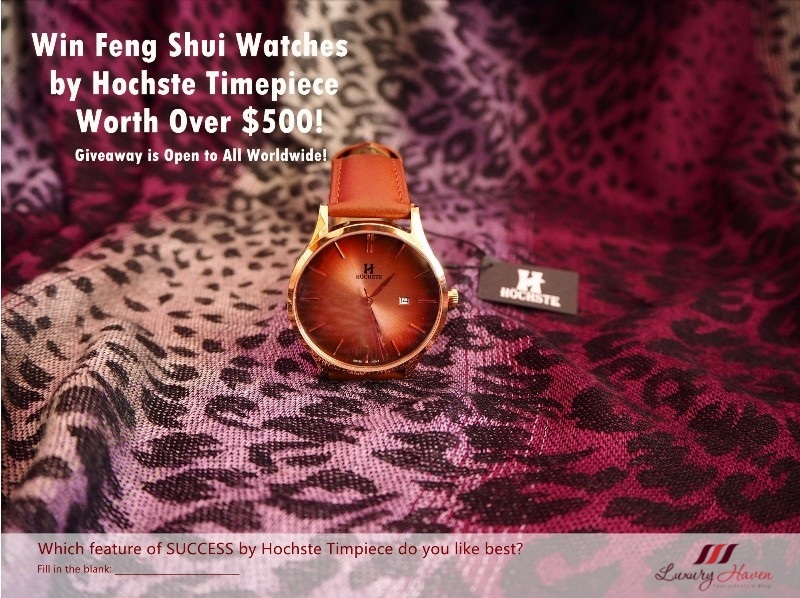 Did you find any interesting brands or products? Well, I hope you have enjoyed the tour as much and I am definitely looking forward to BeautyAsia 2017! 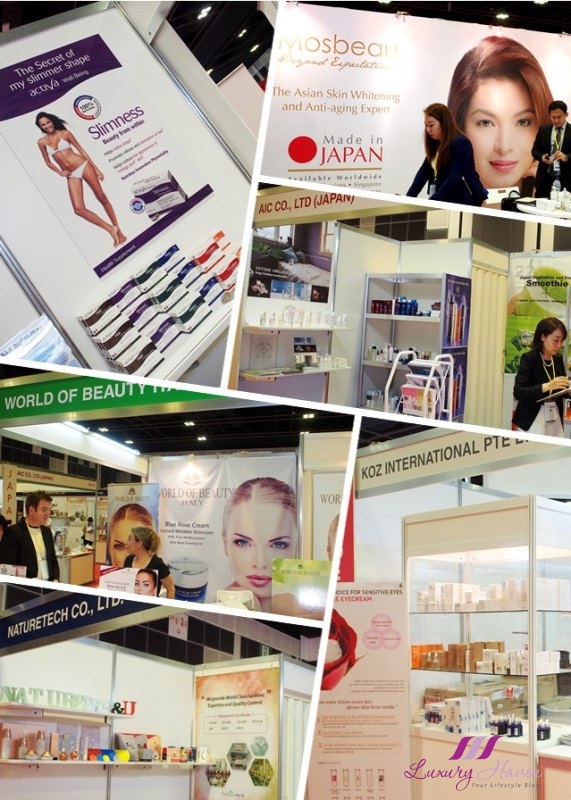 Bringing all sectors of the industry under one roof, BeautyAsia cemented its position as one of the most important exhibitions for the beauty industry in Asia. Design BeautyAsia as part of your marketing strategy today and be a Part of the Region’s Biggest Gathering of Industry Professionals! A great roadshow to gather more information and insight. 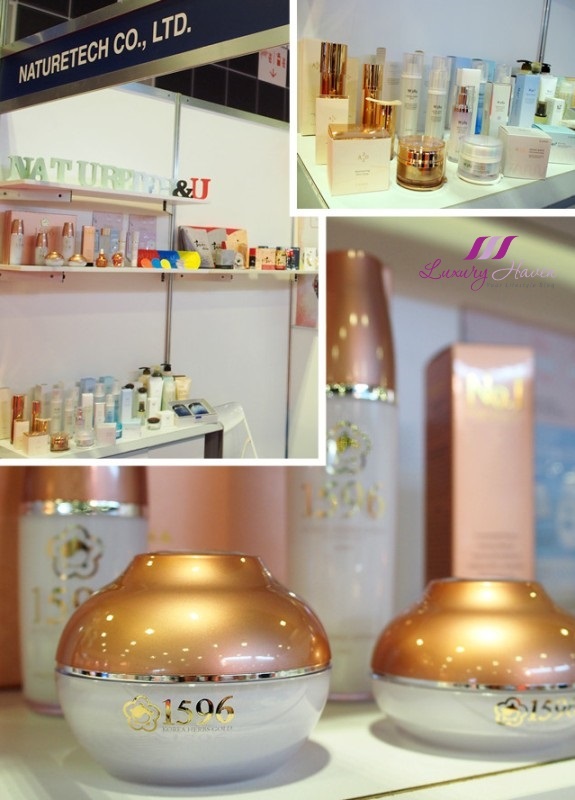 What an interesting exhibition of all the beauty products! I am sure you enjoyed browsing one by one. 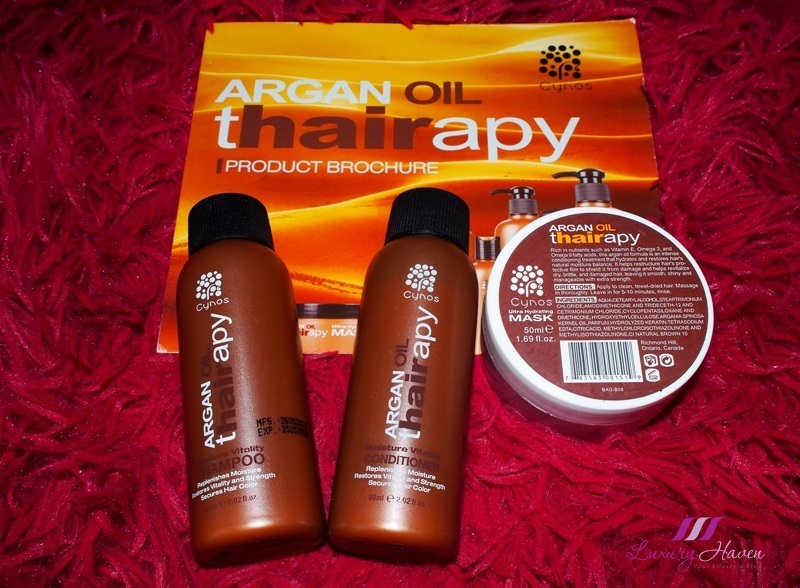 I was attracted to this Argan Oil products as I had used this ingredient in the shampoo. It was good and smelled nice. Spoil with choice. Love the essences. Nice to try those. Very interesting event! Too bad I've missed it. Definitely looking forward to this event next year. What an awesome event to explore new products. This seems like a comprehensive exhibition about beauty. 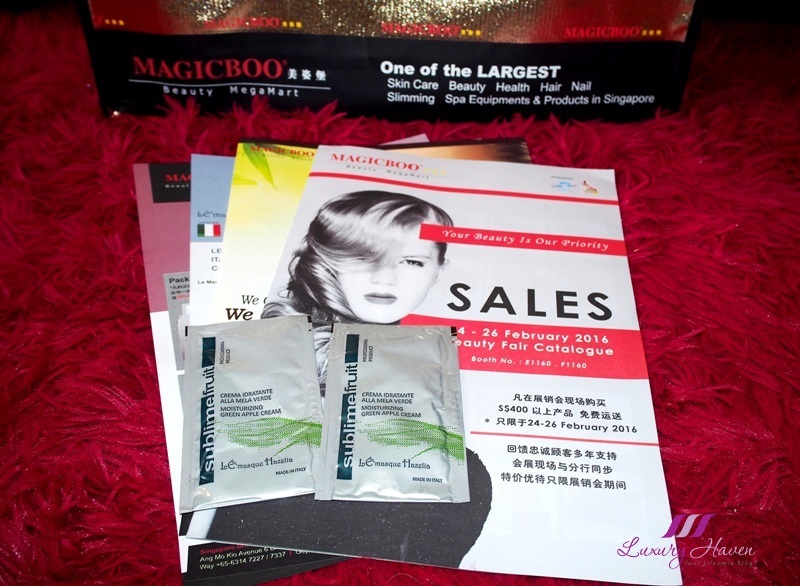 So many products for you to consider, you must be very excited. un evento molto interessante con tante novità! What an interesting trade show! Wow...this is interesting! I have never been to a beauty exhibition before. Goodness! If I was at this event, I can't imagine the amount of products I would have bought. Such a weakness for me beauty is. It must have been a great experience attending this event and learning about all the brands...thank you for sharing it with us. This seems a very interesting and useful event to attend! This show really sounds like a fantastic way to find out what new and upcoming in the beauty world. Such a great e event! Thanks for the visit. 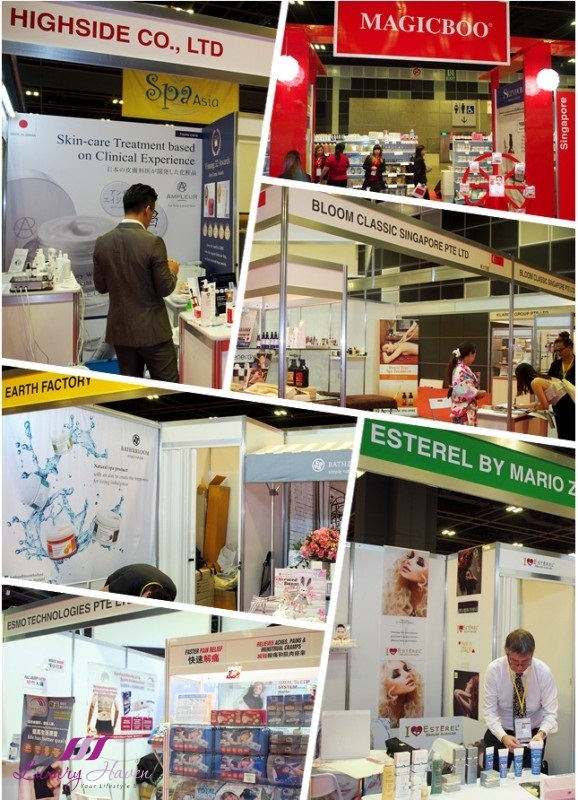 so much to see, learn and touch the products on exhibition there. 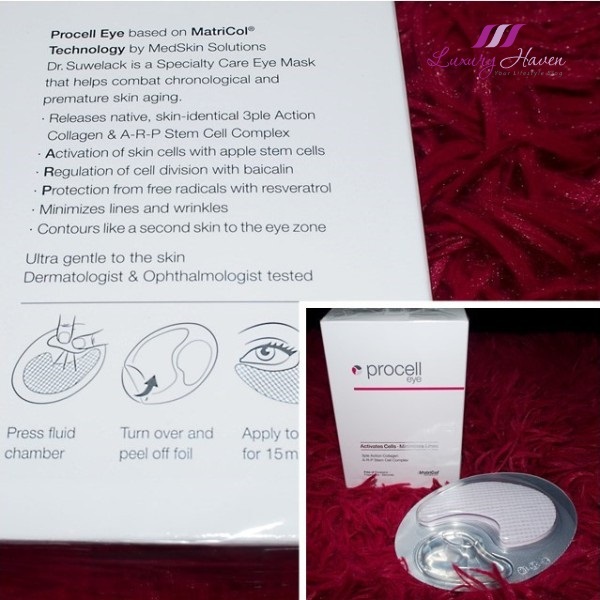 Great for beauty lovers. So many beauty products! But they are like aliens to me hahahaa! This look like such an interesting fair/event, a great way of discovering new brands and innovative products. Personally, I love going to things like this! 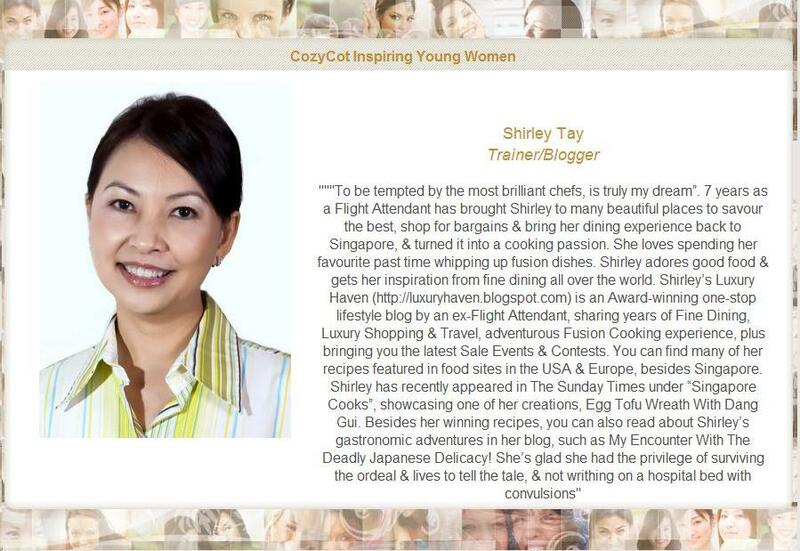 What an interesting event, Shirley. I am sure you had a lot of fun. Happy hump day, girl. Wow...a great event to attend ! I love this type of exhibitions! So much to choose from, I just wouldn't know where to begin! So many awesome products in one place.